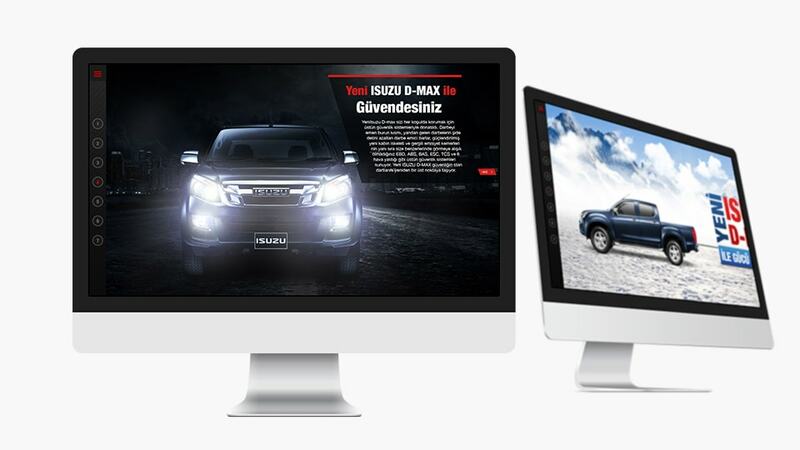 D-Max is the pick-up model of Isuzu and has many fans around the world. D-Max is also very versatile. Some uses it as city cruiser and some as Off-Road vehicle. To responds to each target group on one single microsite, i build sections. Each section should thematize each feature. Some the user experienced this car as functionally Off-Road car and the other one as comfortable city cruiser.